Do you want to know some interesting facts about Barack Obama? 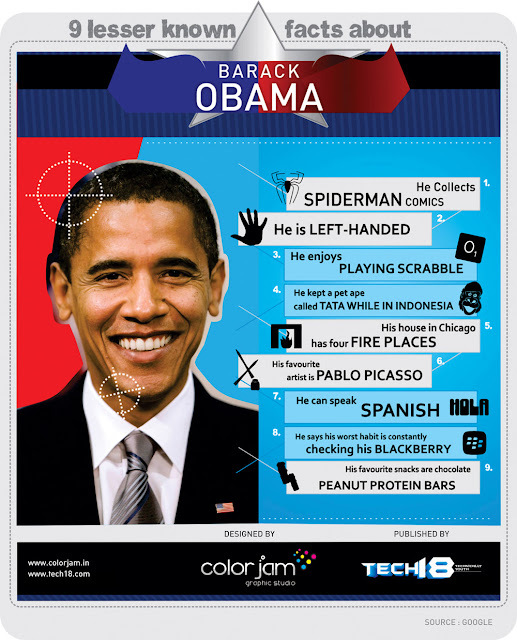 Here the infogrphic that tells you to some unknown facts about Barack Obama. Interesting Info graphic!! Thanks for sharing it.